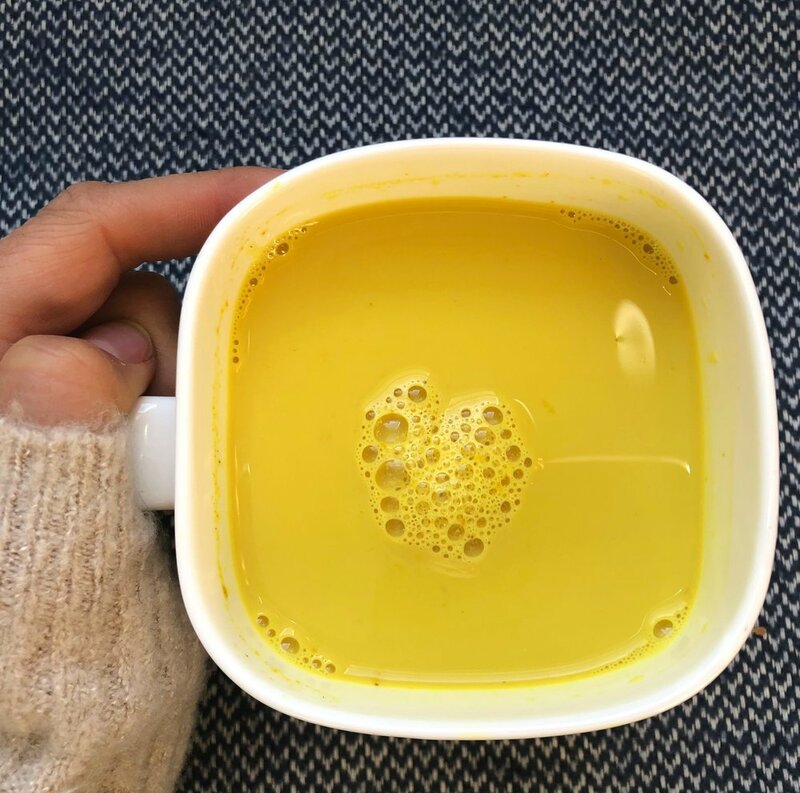 A turmeric latte - coffee-house speak for warm milk and turmeric. It’s a recent craze but one I’m happy to embrace. Spices are a wonderful, easy, inexpensive way to bring health benefits to our diet. These 4 can all go into your homemade turmeric latte and are my absolute favourites for warmth and nourishment. 1. Cinnamon is a powerful spice that you probably already have in your cupboard. There’s a wealth of research on the medicinal qualities of cinnamon. I use it a lot. It can help keep our blood-sugar levels balanced, it’s anti-inflammatory, anti-microbial, and is rich in antioxidants. Cinnamon is a great way to add sweetness without sugar. Sprinkle it onto your porridge, into your coffee or on roasted sweet potatoes. 2. Turmeric, particularly its antioxidant component, curcumin, has been studied extensively. A scientific review published last year cited a long list of benefits, with evidence indicating it may help improve conditions like high cholesterol, high blood pressure, inflammation, and anxiety. Tip: if you use turmeric, also use black pepper – it can improve bioavailability (how well your body can use it, basically) by 2000%. 3. Ginger may be my favourite spice. I crave the heat of ginger and use it a lot in my Nutribullet – it goes so well with beetroot, carrot and apple. It’s an impressive root with many research-backed benefits. It’s a powerful antioxidant and anti-inflammatory agent. There is some research that it can improve nausea, included morning sickness. Chop fresh ginger and use in your latte. 4. Star Anise is a prickly-looking spice with a strong anise flavour and a liquorice-like aroma. A source of antioxidants, it’s also reputedly good for your digestion. Drop 2 or 3 into your milk and let the flavour infuse. You’ll need to leave for about 10 minutes. So, heat some milk of your choice in a saucepan and add these four spices. Try a teaspoon of cinnamon, a tablespoon of turmeric, a teaspoon of ginger and 2-3 star anise. Let simmer for about 10 minutes. Sweeten with a little honey. Sunshine in a mug.